Hungry? A new neighborhood Vietnamese spot has you covered. Called Pho Street, the fresh arrival is located at 2104 Market St. in Rittenhouse. 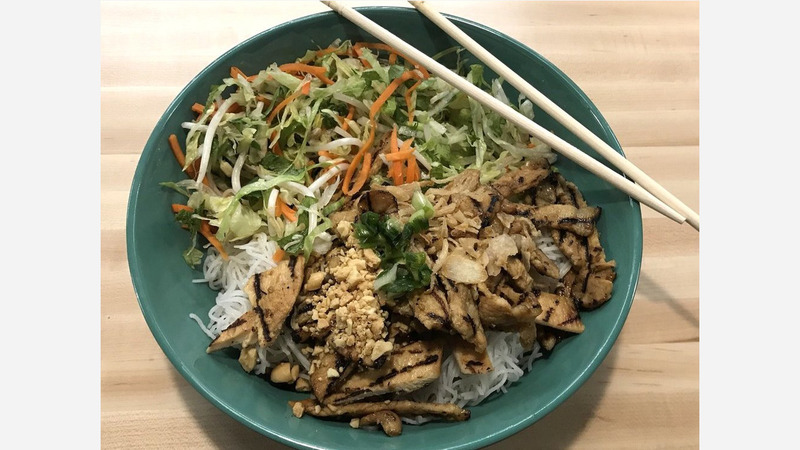 This newcomer--which has other outposts in Springfield and Bryn Mawr--specializes in traditional Vietnamese fare like vermicelli, banh mi sandwiches, pho, and rice plates. On the menu, expect to see starters like shrimp summer rolls, duck salad with pickled veggies and Vietnamese coriander, and crispy tofu with a house dipping sauce. For noodle soups, look for the deluxe pho with eye-round steak, flank steak, brisket, soft tendon, tripe, and beef meatballs; pho with white meat chicken; and tofu or shrimp pho. The fresh arrival has garnered an enthusiastic response thus far, with a 4.5-star rating out of 11 reviews on Yelp. Nataly N., who was among the first Yelpers to review the new spot on December 29th, said: "People working along west Market Street will be happy to know that they have yet another great lunch (or dinner) option in the Rittenhouse area!" Yelper Phuong N. added: "As someone who resides in the Logan Square neighborhood, I was happy to see Pho Street open its doors after being under construction for several months. At last, I can have some quick Vietnamese!" And Marianne A. said: "Wow! Now we can enjoy excellent Vietnamese food without having to drive down to Washington Ave. Loved the vermicelli. The pork and chicken were so nicely flavored, and the portion was monstrous."